Competition has been an integral part of Jiu-Jitsu since the beginning, and whether you compete in Gi, No-Gi, MMA or any other form it is the foundation on which the scientific process of Jiu-Jitsu is built. When it comes to kids’ classes, I’ve always thought of it also as a way for them to prepare emotionally and psychologically for self-defense and other aspects of their lives. 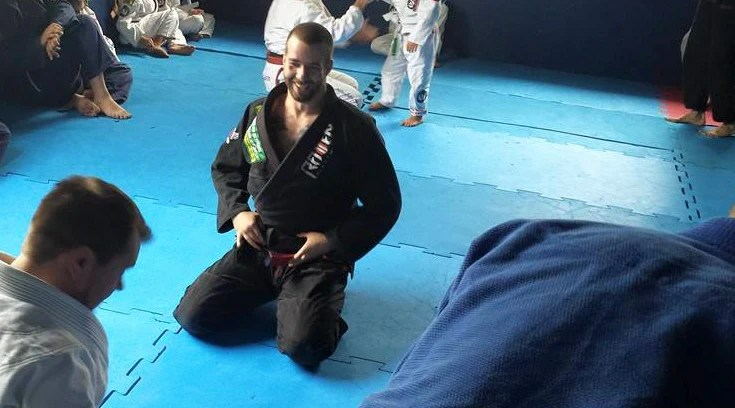 You can train hard in the dojo day in, day out, learn the techniques and become a better athlete, but in the place you know surrounded by your friends, teammates and family you’re always going to be somewhat comfortable. At a tournament, competing against other people you may not know in an unfamiliar environment can be overwhelming. You’re more tense and less efficient than normal because of the adrenaline, you’re nervous because of the unknown opponents and their capabilities, and you don’t want to lose. You may even be afraid, and feel as though you don’t remember anything. Despite all of that, you step on the mats and fight nonetheless. This is exactly the kind of cocktail of emotional and physical symptoms that occur in a real-world self-defense situation, and tournaments offer a safe (and fun!) way to practice your ability to perform better in that state. Inevitably, tournaments will also provide opportunities to deal with the concept of winning and losing. All sports do this to some extent, of course, but there’s something a bit more primal, and more visceral about winning or losing in martial arts. The thing is, jiu-jitsu is so infinitely variable that it’s pretty much impossible to go undefeated for long. Not only do I not personally know any undefeated jiu-jitsu fighters, I don’t even know OF any. The first few tournaments a kid does can be an emotional struggle one way or the other, but over time they begin to be able to approach their wins and losses more objectively, extracting lessons from them about what needs to be worked on to push to the next level. This is an essential skill for long-term success not only in jiu-jitsu but life in general. In relationships, business, financial and family matters, being able to view successes and failures as potential lessons and opportunities to grow is a great lesson for a child, and jiu-jitsu makes an excellent teacher. In classes at the St. Albert Dojo, Professor Tyson can often be heard speaking about “splitting the focus”. This is a common concept in martial arts, but is especially important in Jiu-Jitsu. In any roll or tournament match, you must consistently try to improve your position, submit or otherwise threaten their opponent from every position. The reason is that if you and your opponent are easily matched and they are trying to pass your guard, they will likely be successful if they can dedicate 100% of their energy and focus to that task. If you threaten with a sweep or submission, they will be forced to split their focus between passing your guard and defending themselves, doing neither to the best of their ability. The idea be applied to any situation, offensive or defensive. At the elite level, this match between Marcelo Garcia and Kron Gracie is perhaps one of the best examples of this concept in action. Even though Marcelo spends the majority of the fight in the bottom position, Kron never gets a chance to fully apply himself to a pass or submission attempt because Marcelo doesn’t give him an inch of breathing room. There is never a time in the course of the 14-minute match where he isn’t working a sweep, takedown, pass or submission. Kron displays excellent base, posture and threatens with attacks of his own, and ultimately the match ends in a spectacular submission. Watch and see for yourself, and see you in class tomorrow! A black belt in Brazilian Jiu-Jitsu is a long, difficult journey. It can be incredibly joyous and rewarding as well as infuriating at times, and progress is rarely a straight line. In this article Professor Tyson wrote for http://www.agatsuapparel.com, he outlines 3 things you can do to make things a little easier on yourself. Check it out! Primarily your hip flexibility is determined by how lose a group of muscles known as the IT Band are. The IT Band is notoriously tight, and that can make your hip movements restricted. After each work out or training session, you can use a foam roller (fairly cheap on sites such as amazon) to stretch out and loosen the IT Band. Simply lie on the foam roller, and move down the roller on the outer side of your leg from knee to hip. You should feel the strain and to begin with the first few rolling sessions will be painful. After time the rolling will get easier, and your hips will begin to loosen and you’ll start to feel and notice the benefits. Leg swings are also a great way to promote hip flexibility as well as improving control, accuracy and range of your kicking. The exercise is also just as simple and easy to perform as it sounds. Simply swing your legs. Swing to begin with but as you start to feel comfortable instead of swinging, begin to lift, to gain more control over the movement. Swings can be made both to the front and the side. It’s the movement towards the sides that really makes the difference in your hip flexors, so concentrate on this for optimum results. Lastly we’ve got spider-mans. No not that kind of spider-man. This exercise not only helps mobility in the hips, but also works the abs, so is a welcome addition to the normal strength and conditioning circuit. To do the spider-man, take a press up position. From here move your knee to your elbow, mimicking the movement of spider-man climbing a wall. You should move the knee wide of the elbow to make the most out of this exercise. When you feel more confident, try moving your knee to the opposite elbow to work in a twist to the movement. This will work the inside of the hip muscle group as well as the lower two abs, making it a truly awesome conditioning move. Not only will your hip flexibility be improved, but you’ll have a head start if you’re ever bitten by a radioactive spider. Conditioning of the hips should be done on a regular basis, if you don’t stretch regularly or get slack on the circuits; you’ll find that the hip seizes up incredibly quickly. Work this exercises twice a week and you’ll find you all round game improves dramatically. Brazilian Jiu-jitsu (BJJ) has been around for almost 80 years and continues to grow in popularity. In this 2nd part of the History of Brazilian Jiu-jitsu and the lineage of Helio Gracie, we will talk about the notable sons of Grandmaster Helio who through the mastery of BJJ, accomplished amazing victories and became champions in the Ultimate Fighting Championships (UFC). 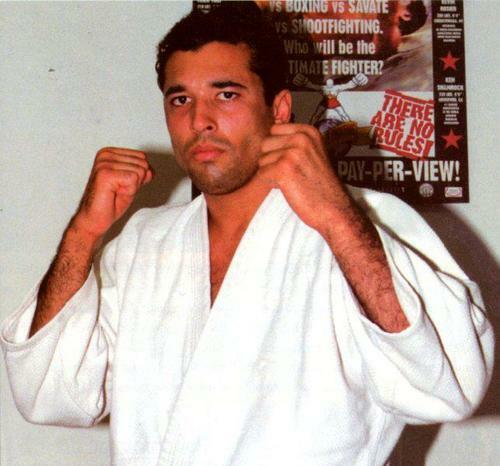 Royce Gracie was born in 1966 and like his father, is a practitioner of BJJ and a professional mixed martial artist. He is most notably known as being the first UFC champion at the UFC 1. He dominated the UFC with 11 consecutive victories through opponent submission. He carried on the tradition of his father by defeating opponents who were much larger and stronger than him. It was because of him that Brazilian Jiu-jitsu gained popularity and started to gather fame throughout the world. His incorporation of grappling and cross-training in mixed martial arts revolutionized the sport as his techniques took the UFC to whole new level. Fighters had to rely on more than just one martial art, especially incorporating other fighting styles with BJJ to even stand a chance against him and fighters that followed him. If there is anyone who brought Brazilian Jiu-jitsu into the limelight, it would be Royce Gracie! Other than Royce, Helio Gracie had other sons who are also BJJ practitioners and UFC champions, Rorion Gracie, Relson Gracie, Rickson Gracie, Rolker Gracie, Royler Gracie, Royce Gracie and Robin Gracie. All of Helio Gracie’s sons are BJJ practitioners and mixed martial artists. Of these Rickson Gracie is well-known for defeating the mighty Brazilian brawler Rei Zulu. By defeating the 230-pound heavyweight fighter, Rickson gained national fame as one of the best freestyle fighters. Rei Zulu requested a rematch and was yet again defeated by Rickson, who carried on the Gracie legacy of defeating foes much larger than them. Rickson continues to give Jiu-jitsu training and continue what his father set out to do, to give confidence and the ability to defend themselves to the children, women and the physically weak. Rorion is the most prominent member of the Gracie family. He is one of the founders of the Ultimate Fighting Championship (UFC) and Helio Gracie’s oldest son. He is among the few BJJ practitioners in the world to have received a 9th degree red belt in Brazilian Jiu-jitsu. Royler holds a 7th degree black belt in the style that has been developed by his family, Brazilian Jiu-jitsu. Royler has been competing regularly in the black belt ranks for more than 20 years and has been the World Jiu-jitsu Champion four times. He also competed in MMA fights where he has a record of 5 wins, 5 losses and one draw. There is much to learn when it comes to Brazilian Jiu-jitsu’s history in relation to the lineage of Helio Gracie. We shall discuss it further in part 3. Come down to Arashi Do Edmonton and try out one of our great Brazilian programs like Fundamental BJJ, Women’s Only BJJ or Children’s BJJ for ages 4-7 and 8-14.